Two Balinese women who are sister wives in a polygamous marriage hold a photo of their husband when he married his first wife many years ago. For nearly two decades, UCLA anthropologist Robert Lemelson has dedicated his career to documenting the cultures of Indonesia and the human rights struggles of the Indonesian people. 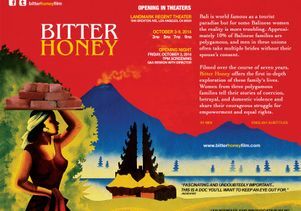 In his latest documentary, “Bitter Honey,” he tracks the physical, psychological and emotional toll the traditional practice of polygamy takes on Balinese women and families and the cruel double standard applied to men and women. Lemelson and his production company, Elemental Productions, spent seven years winning the trust of three Balinese polygamous families to demonstrate their commitment to the project and give the families time to tell their stories. “We returned over and over so that people could see we weren’t just there to get data and never return,” said Lemelson, an adjunct assistant professor in the Department of Anthropology, part of the UCLA College. Audiences across the country will have the opportunity to learn the families’ stories. Currently, Lemelson and his team at Elemental Productions are submitting “Bitter Honey” to film festivals and preparing it for general release. 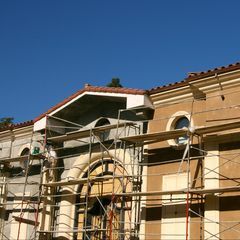 Locally, the film will open at the Landmark Regent Theatre on Oct. 3 and run through Oct. 9. 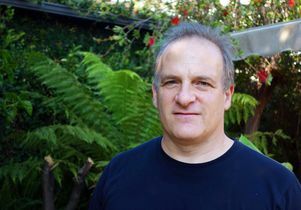 The anthropologist began traveling back and forth to Indonesia in the mid-’90s to work on his dissertation, which focused on the relationship between culture and mental illness. “I got a Fulbright and went back there with my family, lived there and did research, and that formed the basis of the work that I’ve been doing for the last 15 years or so,” Lemelson said. Lemelson found the families that formed the heart of “Bitter Honey” as a result of an earlier film he made, “40 Years of Silence: An Indonesian Tragedy,” a documentary on the Indonesian mass killings of 1965. When the regime under which the killings occurred — the Suharto regime —fell, there was a painful period of transition in Indonesia, during which mass rapes took place in major cities as a form of sexual terrorism instigated by what some scholars believe were agent provocateurs in the outgoing regime. He interviewed a number of families while doing research on relationships and gender-based violence in Indonesia. Several of these families were headed by polygamists, and that’s where Lemelson said he found the inspiration for his next documentary. Originally, Lemelson and his team thought the film should focus on the husbands, but they quickly realized the real story lie in how the wives survived, adapted and endured for years. “The women in the film are remarkable,” the anthropologist said in admiration. In Bali, women are often tricked into polygamous marriages, he said, with their husbands-to-be lying to them about being unmarried until they’re brought home to find several other wives already living there. Yet women often stay in these marriages because they would lose everything if they divorced. According to Balinese customary law, a husband retains possession of all inheritance, property and, most devastatingly, children. The wives in “Bitter Honey” speak candidly about their dissatisfaction, the resentment they feel towards their husbands and their hopelessness at being “trapped” by their polygamist husbands and local cultural practices. “We try to tell true stories and not fairytales,” said Lemelson. “But one point the film makes is that sometimes cultures can be a really supportive and powerful, but culture can at times also really be oppressive to people.” Lemelson discovered that some of the polygamists frequented brothels, exposing their wives to the risk of HIV/AIDS. Since the film’s release, Lemelson and his crew have been working with several human rights organizations that assist women suffering from domestic violence in Indonesia. He and his team are also helping to set up the first program to end gender-based violence in Bali. Lemelson said his students have sometimes been critical of his activist approach to storytelling. In “Bitter Honey,” one wife stages an intervention with a human rights lawyer, her husband and her husband’s boss to confront her husband about his abusiveness. The intervention, which was filmed, took place because the wife asked for Lemelson’s help. “When people ask you to help, there’s some human-related component that makes you feel you need to step up and do something to make their lives better if you have that capacity,” he said.